Honor Takes Place At Historic Sony Pictures Studios Thursday, June 9, 2011 At 7:00 p.m.
LOS ANGELES, June 6, 2011 /PRNewswire/ — AFI and TV Land announced today that Clint Eastwood, Helen Mirren, Sidney Poitier, Mike Nichols, Matthew Broderick and Rita Moreno are among the luminaries in film who will pay tribute to Morgan Freeman, the 39th AFI Life Achievement Award recipient. AFI will present its highest honor for a career in film to Freeman in Los Angeles on June 9 at Sony Pictures Studios. “TV Land Presents: The AFI Life Achievement Award Honoring Morgan Freeman” will air on TV Land on Sunday, June 19, 2011 at 9:00 p.m. ET/PT . Eastwood, Poitier and Nichols are all past AFI Life Achievement Award recipients. Mike Nichols, who received the AFI Life Achievement Award last year, directed Freeman on Broadway in “The Country Girl” (2008). Helen Mirren most recently worked with Freeman in the 2010 film, “Red,” which also co-starred Bruce Willis and Mary-Louise Parker. Rita Moreno co-starred alongside Freeman in PBS’s “The Electric Company,” which was Freeman’s breakout role in television. The highly regarded children’s educational program won several Emmy® Awards during its broadcast run. Matthew Broderick worked with Freeman in “Glory,” which was directed by Ed Zwick, produced by Pieter Jan Brugge and edited by Steven Rosenblum – all three are AFI Conservatory alumni. Rosenblum will receive the Franklin J. Schaffner Alumni Medal, awarded annually to an alumnus of AFI who best embodies talent, taste, dedication and commitment to quality filmmaking, as part of the Freeman gala. The black-tie event will take place on historic Stage 15 at Sony Pictures Studios, where “The Wizard of Oz,” “Grand Hotel,” “Spiderman” and other classic movies were filmed. The stage will be transformed into an elegant ballroom to honor the storied career of Morgan Freeman. Proceeds from the AFI Life Achievement Award Gala directly support the Institute’s national educational programs and the preservation of American film history. AFI is America’s promise to preserve the history of the motion picture, to honor the artists and their work, and to educate the next generation of storytellers. AFI provides leadership in film, television and digital media and is dedicated to initiatives that engage the past, the present and the future of the moving image arts. AFI preserves the legacy of America’s film heritage through the AFI Catalog of Feature Films , an authoritative record of American films from 1893 to the present, and the AFI Archive, which contains rare footage from across the history of the moving image. AFI honors the artists and their work through a variety of annual programs and special events, including the AFI Life Achievement Award and AFI Awards. For 39 years, the AFI Life Achievement Award has remained the highest honor for a career in film while AFI Awards, the Institute’s almanac for the 21st century, honors the most outstanding motion pictures and television programs of the year. AFI’s 100 Years…100 Movies television events and movie reference lists, as well as AFI Night at the Movies, have introduced and reintroduced classic American movies to millions of film lovers. And as the largest nonprofit exhibitor in the United States, AFI offers film enthusiasts a variety of events throughout the year, including AFI Fest presented by Audi, the longest running international film festival in Los Angeles; AFI-Discovery Channel Silverdocs, the largest documentary festival in the US; and year-round programming at the AFI Silver Theatre in the Washington, DC area. AFI educates the next generation of storytellers at its world-renowned AFI Conservatory, offering a two-year Master of Fine Arts degree in six filmmaking disciplines: Cinematography, Directing, Editing, Producing, Production Design and Screenwriting. AFI also explores new digital technologies through special workshops. Additional information about AFI is available at AFI.com. 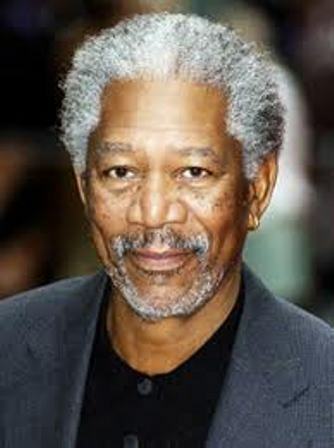 2011 AFI Life Achievement Award honoree Morgan Freeman joins an esteemed group of individuals who have been chosen for this distinguished honor since its inception in 1973: John Ford (1973), James Cagney (1974), Orson Welles (1975), William Wyler (1976), Bette Davis (1977), Henry Fonda (1978), Alfred Hitchcock (1979), James Stewart (1980), Fred Astaire (1981), Frank Capra (1982), John Huston (1983), Lillian Gish (1984), Gene Kelly (1985), Billy Wilder (1986), Barbara Stanwyck (1987), Jack Lemmon (1988), Gregory Peck (1989), Sir David Lean (1990), Kirk Douglas (1991), Sidney Poitier (1992), Elizabeth Taylor (1993), Jack Nicholson (1994), Steven Spielberg (1995), Clint Eastwood (1996), Martin Scorsese (1997), Robert Wise (1998), Dustin Hoffman (1999), Harrison Ford (2000), Barbra Streisand (2001), Tom Hanks (2002), Robert De Niro (2003), Meryl Streep (2004), George Lucas (2005), Sean Connery (2006), Al Pacino (2007), Warren Beatty (2008), Michael Douglas (2009) and Mike Nichols (2010). Please log onto tvlandpress.com for up-to-the-minute information, press releases and photos. This entry was posted in Life & Style, News, World by admin. Bookmark the permalink.